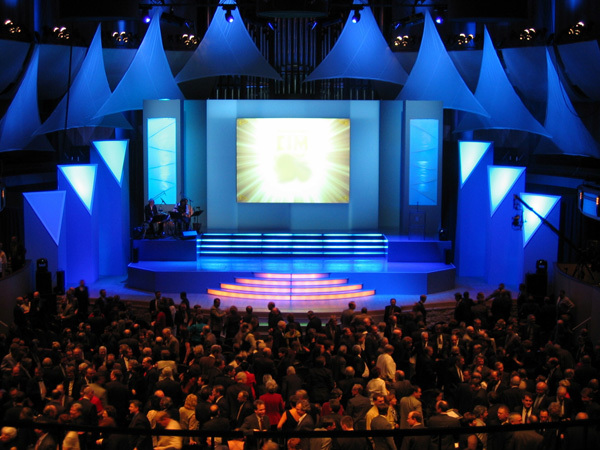 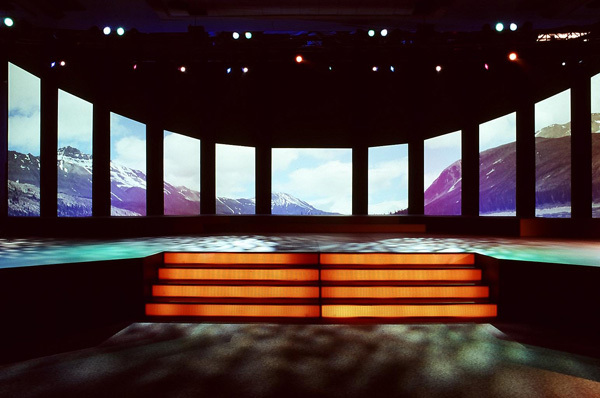 Noteable Entertainment and Events Ltd. is pleased to present our new, completely modular stage sets! 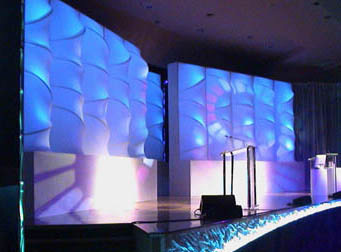 These set pieces are extremely lightweight, easy to assemble, and very attractive both in person and on camera. 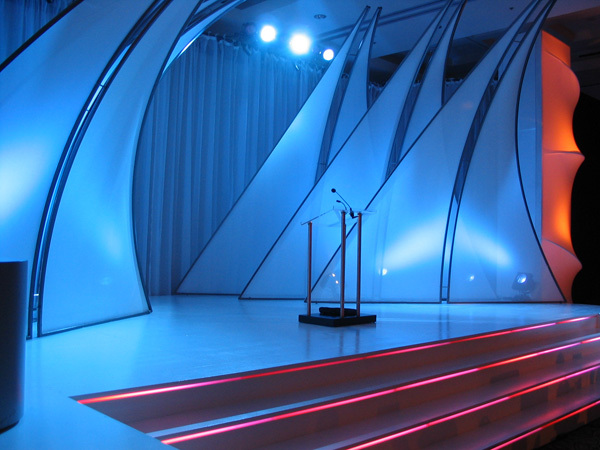 Our ultra-new system utilizes a custom fabricated aluminum structure designed by our technical team. 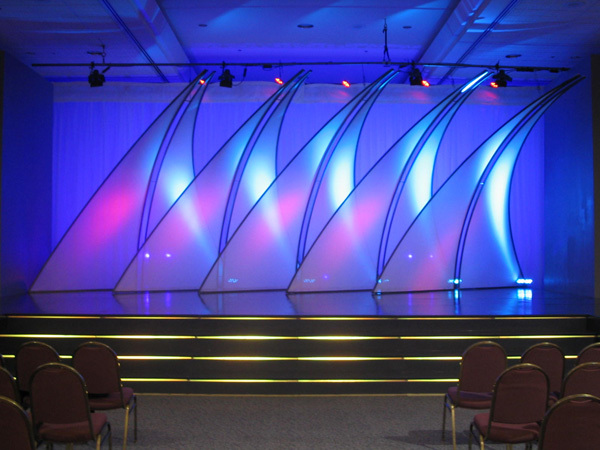 This design can include laminate panels, fabrics and trussing as some of the completely interchangeable options to provide a custom look just for you. 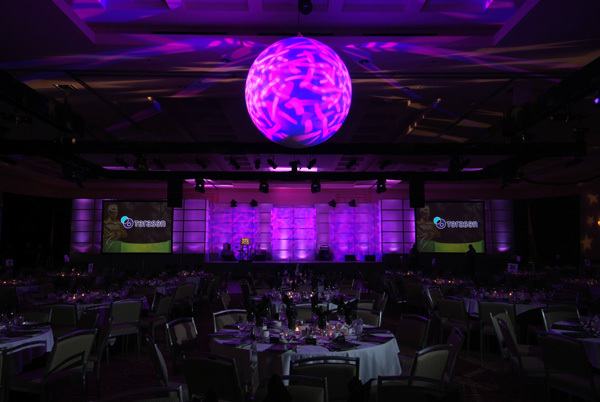 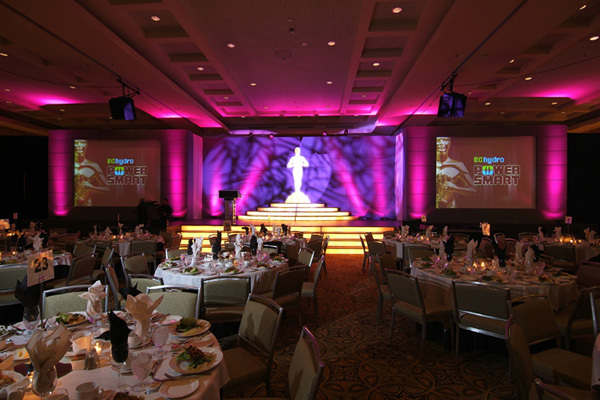 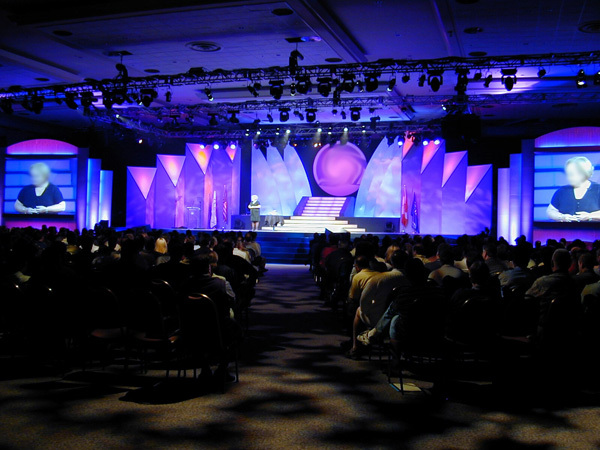 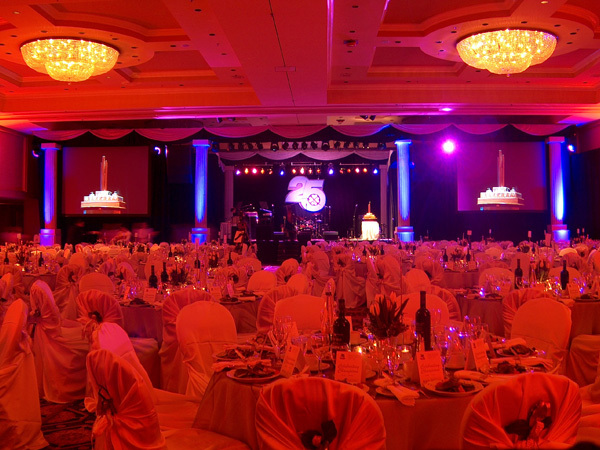 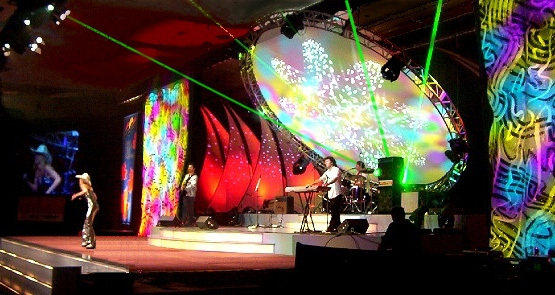 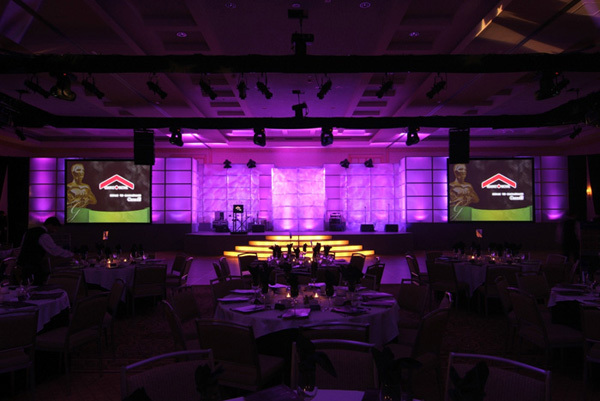 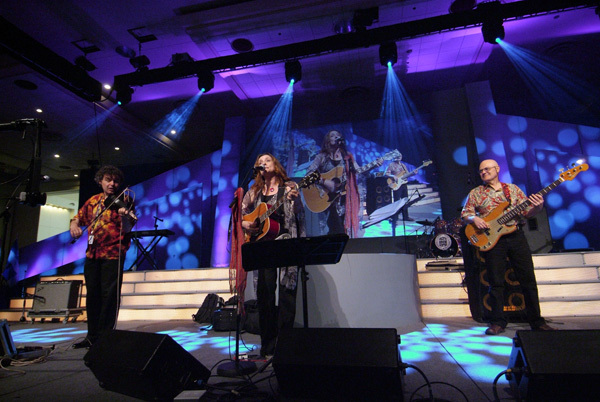 Implementing our lighting skills and techniques to get the most out of your new custom set, we can create many environments that arouse and excite your audience and speakers alike.